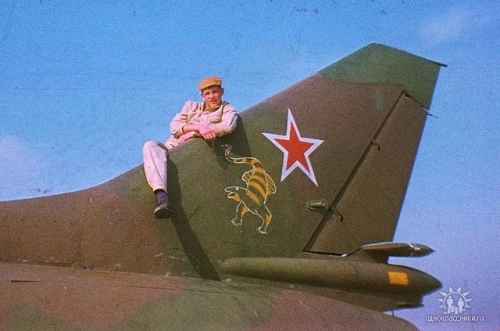 In the early eighties, the Soviet Union needed more bomber units over Afghanistan. 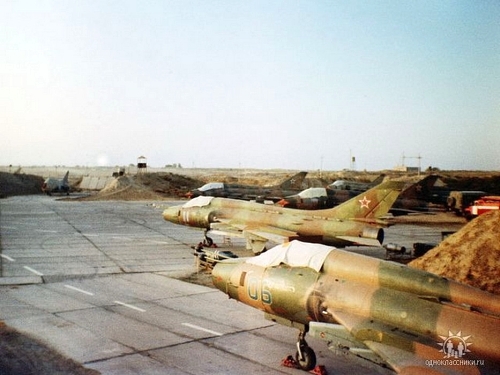 Therefore, to station near the Afghan border the 156th Interceptor Fighter Regiment recieved a new task. 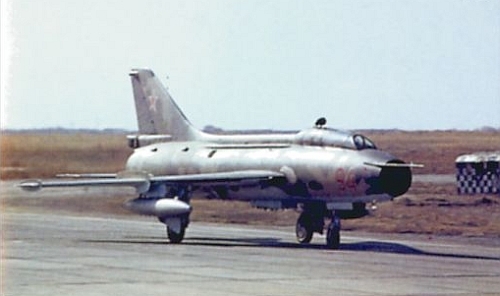 In 1981 they handed over their Su-15 Flagon interceptors and got Su-17M3 Fitter-H bombers instead. 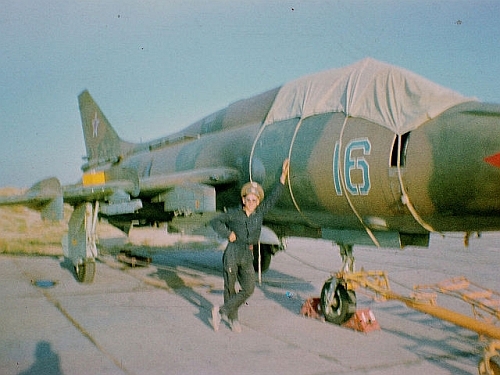 The 156th Fighter Bomber Air Regiment's two squadrons bombed between May 1983 and October 1984 in Afghanistan. 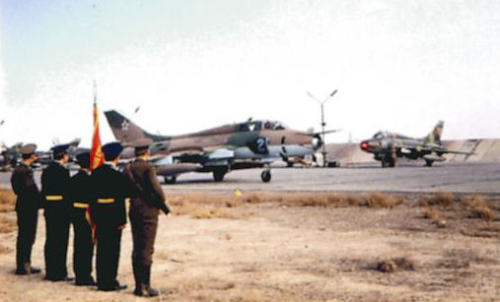 The regiments settled at Kandahar and Bagram airports and suffered great losses. 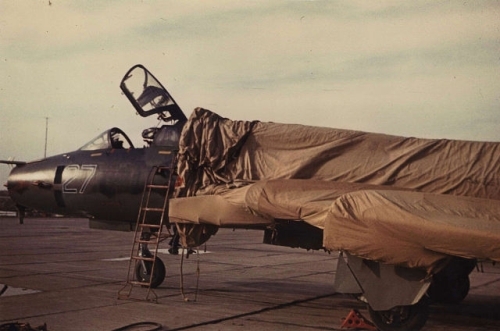 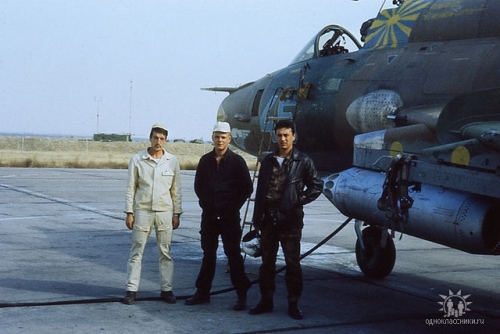 They lost six Su-17M3 Fitter-H bombers and two pilots in a year. 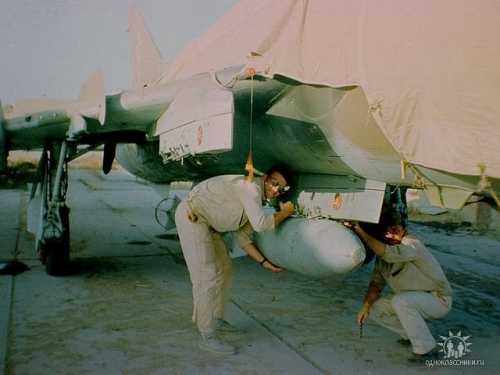 Later, between 1984 and 1989 they flew from their own Mary-2 airbase to bomb north Afghanistan, but this time there was no fighting loss. 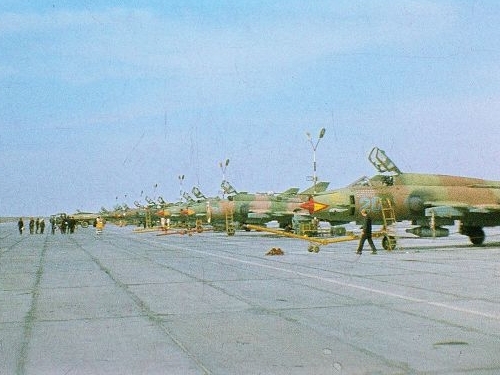 Above pictures: Su-17M3 Fitter-H bombers and Su-17UM3 Fitter-G trainers of the 156th Fighter Bomber Air Regiment at Mary-2 airport in the eighties. 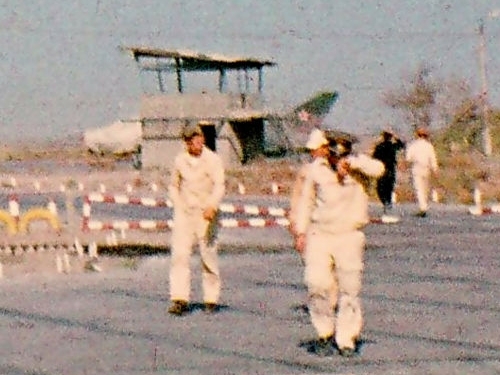 The 34th Fighter Bomber Division's other regiment, the 217th Fighter Bomber Air Regiment deployed to Mary-2 airport to take part in bombing targets in Afghanistan. 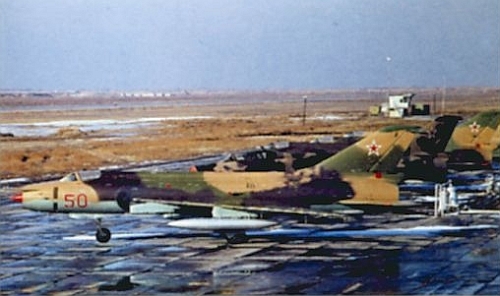 Till the end of the 80's the 217th Regiment used early Su-17 Fitter-C bombers and Su-7U Moujik trainer types. 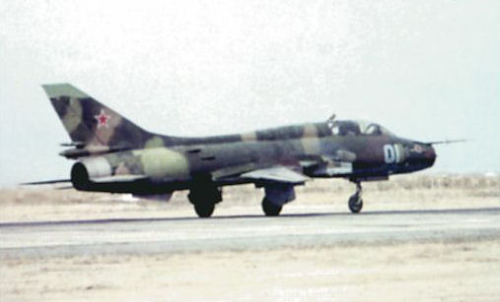 In 1994 the Turkmen Air Force's 67th Air Attack Regiment's established at Mary airport with Su-17M3 Fitter-H bomber aircraft. 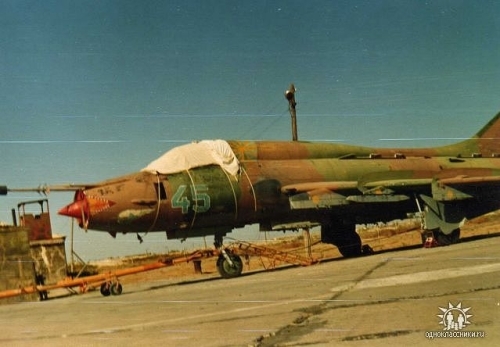 The unit was soon retrained to Su-25 Frogfoot. 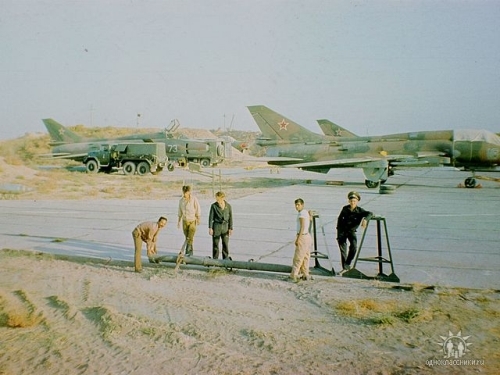 Afterwards the Turkmen Air Force's legacy - 65 pieces Su-17 Fitter bomber from the Soviet Union - were stored here.